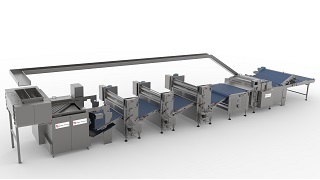 Sheet forming and cutting lines for pet foods consist of a series of best-in-class unit machines, offering reliability, durability and low running costs. They are designed to handle the low fat, abrasive doughs used in the pet food industry. 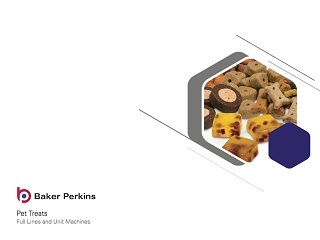 Baker Perkins' expertise in roll design and manufacture means that any product shape can be produced. The system consists of a sheeter, gauge rolls and rotary cutter. It uses a proven process to ensure reliable operation, low waste and accurate performance. 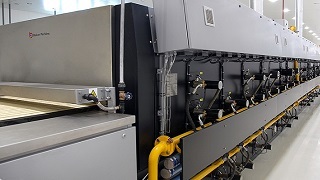 High quality components and software help maintain trouble-free operation for long periods. Components such as motors and gearboxes all operate well within their design capability. 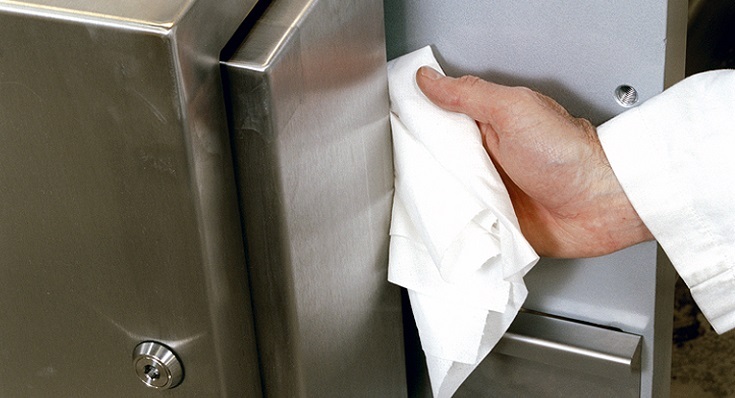 TruClean™ hygiene standards ensure minimum debris accumulation and maximum effectiveness of cleaning. Features include good access, few and easily removed guards, and easy dismantling for cleaning without tools. A robust, stable and highly visible process controlled by a PLC with local touch screen interfaces makes it simple for operators to run the plant. Clear and intuitive touch screen HMIs include indication and setting of all the main running adjustments. Low-deflection solid gauge rolls with pre-loaded bearings mounted in rigid frames guarantee precise weight control over many years. 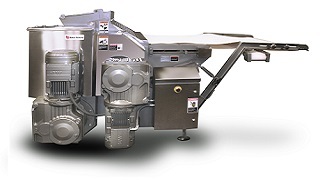 The control system also makes a significant contribution through accurate speed control of each unit, and a sophisticated cascade system that maintains a smooth flow of dough along the line. 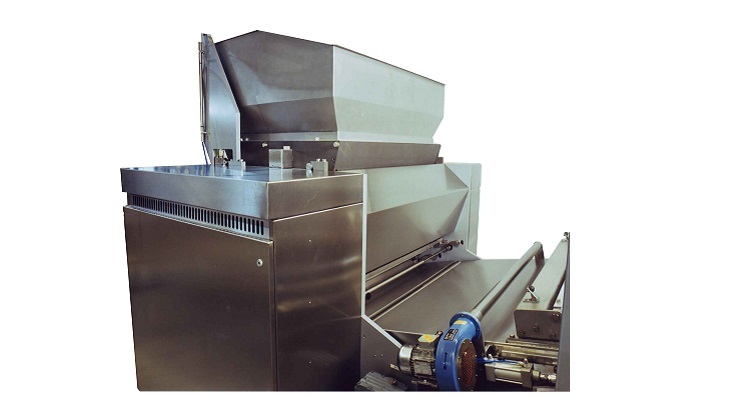 The three roll sheeter takes either a bulk or metered feed of dough and forms a compacted sheet ready for the gauge rolls. 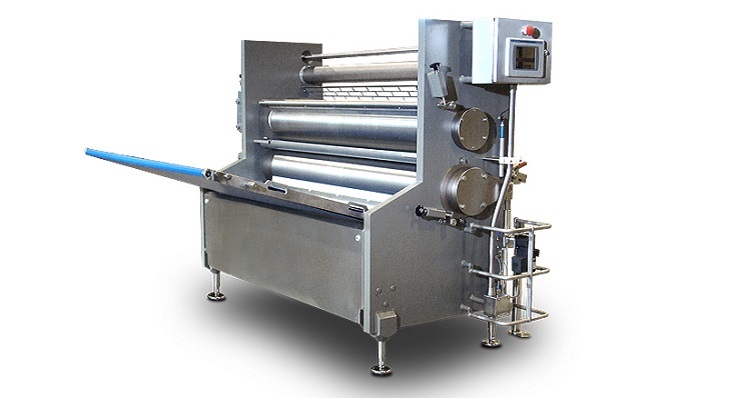 The three-roll arrangement provides optimum control over the size and condition of the dough sheet. The rolls are configured to create a compression chamber which homogenates the dough. It does so without damaging the dough by over-working it. 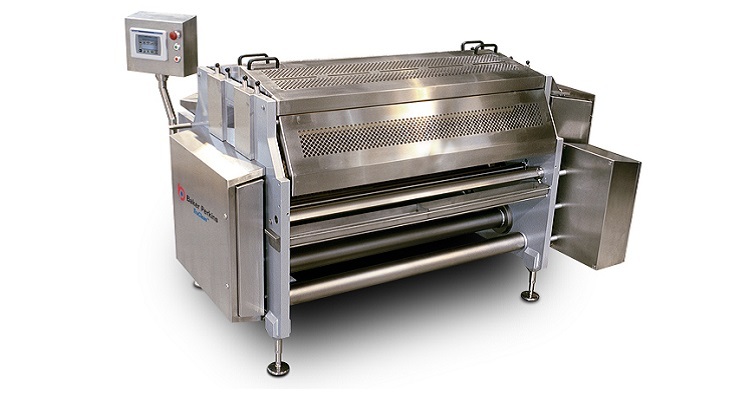 Flanges fitted to the lower roll ensure the sheet covers the full width of the conveyor band for even baking. TruClean™ gauge rolls achieve and maintain the desired thickness of a sheet of pet food dough. Heavy duty rolls cope with the distinctive doughs necessary for pet foods. Repeatable precision is matched by low operating costs, with labour, waste and maintenance kept to an absolute minimum. 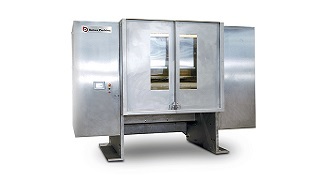 It is designed to meet the latest industry requirements for hygienic operation. 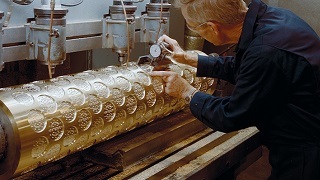 The rotary cutter creates the product shape using engraved rolls. Re-enforced ceramic coatings for the cutting and embossing rolls are abrasion resistant. Die roll changes are accomplished rapidly and without the use of tools. By combining imaginative design with process insight and manufacturing expertise, Baker Perkin supplies rolls that are right first time, and run cleanly and reliably.